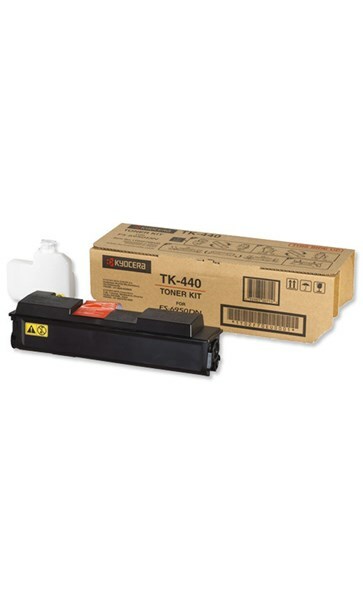 A genuine Kyocera TK440 black toner cartridge. For use in Kyocera Ecosys FS6959DN printers. Rated yield: 15,000 pages at 5% coverage.